Content marketing is one thing that many authors are not used to. But this is a great tool every author can use to reach more book buyers and readers. Content takes many forms, such as social media posts, sharing articles of interest, promotions, email marketing, books, courses, webinars, podcasts, and blogging. 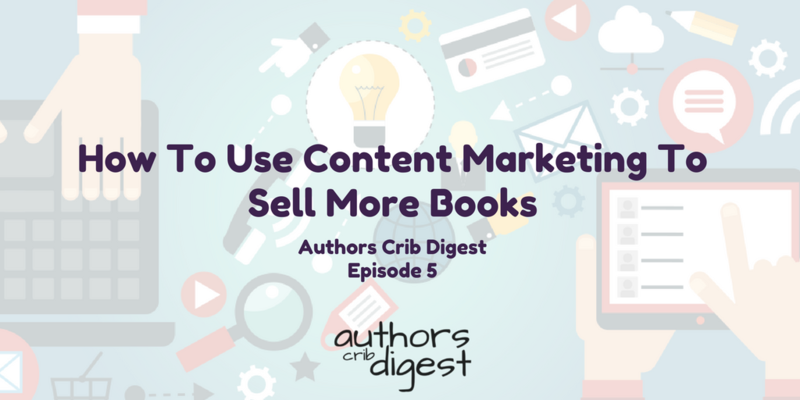 But how best can you use content marketing to reach more book buyers and readers and sell more book? Let’s take a look at what content marketing is and how to use it for effective book marketing. We all hate marketing. We just want to write but books don’t sell themselves, they need to be reached by people who they are written for. As complex or difficult marketing a book can look like, you still need to figure out how to go about it. And the big question is really..
What should you be doing and what you should ignore? If you have been asking yourself this question in the past or now, then go through these 7 marketing trends that you can’t afford to ignore. Don’t get me wrong – writing books is not a get rich quick scheme but you can still write and be rewarded financially over time. In this podcast interview with Dean Crawford who is an international bestselling author of Blockbuster: How To Write $1million From An Author Who Has Actually Done It as well as other action adventure and sci-fi series, Joanna Penn, host of The Creative Penn Podcast discuss writing, publishing, what’s working with book marketing and how to make money from writing. You try to gain exposure without spamming or irritating people – and fail. You search for ways to connect with readers most likely to enjoy or benefit from your work, but come up empty-handed. You attempt a multitude of “strategies” that require much in the way of time and effort, but produce little results. And although feeling exposed and vulnerable, you’ve shared your thoughts, opinions and upcoming projects on your author blog and via social media – to have them largely (if not completely) ignored. You’re stuck. And frustrated. Which means no platform gets built, and no books get sold. In this post, get insights into some of your biggest stumbling blocks, so that you can move past these frustrations, achieve traction and momentum in your writing career and finally get your book into the hands of your readers. Infographics are one of the most powerful tools to build your author brand. The problem is that not many writers are aware of how to properly leverage them – most don’t have a background in online promotions, and the rest are learning right along with everyone else (as new technologies disrupt every tactic we seem to master). Here, you will learn precisely what it takes to leverage infographics for long-lasting, effective book marketing. Rather than trying to market every book to every potential reader out there, it’s in your best interest to focus your marketing efforts on a smaller group of “qualified leads,” or readers who have demonstrated interest in the type of book you’re trying to sell. This will ensure your marketing dollars are better spent and the readers you reach are more likely to purchase your books. So how can you define the right audience for your book to enable smarter, more targeted marketing? How can you better understand what readers are actively searching for? If you’re looking for readership and engagement, finishing your book is the first step. These social media marketing tips can help you frame your approach to the process of promoting yourself and your work online. Are you struggling trying to be all things to all people on every social media channel to market your books? Learn how using less social media can actually help you engage more readers and sell more books. Authors and book marketers are always looking for ways to increase discoverability and revenue of their backlist books, and price promotions are a known way to reach a high volume of readers. But how can you run the most effective promotion possible? Using data to determine what kind of price promotion you should run can help you achieve your goals more effectively, whether it’s to reach more readers or increase revenue for a particular book. Two of the big European stories this week involve Amazon. Amazon Prime is expanding again, with the signs now that Amazon Prime Reading is rolling out in Germany. But the big news is that the European Commission has, as part of its massive ongoing antitrust investigation, accepted Amazon’s offer to remove Most Favoured Nation Status clauses from contracts with writers and publishers. This is a massive step in increasing the freedom indies have to decide their own individual marketing and pricing strategy. The Most Favoured Nation (MFN) clause was Amazon’s way of insisting that you couldn’t sell your book cheaper on another platform without offering to do the same at Amazon. It basically made experimenting with price tweaking and running parallel pricing tests impossible, taking away a lot of the freedom that being indie brought in the first place. Every week’s episodes of Authors Crib Digest will feature the book of the week. This will be a book I have read myself and seen to be worthy of your time, money and energy. Our book of the week today is Blockbuster: How To Write $1Million, By An Author Who’s Actually Done It! Authors Crib Digest is a weekly curated newsletter featuring the best of book publishing, writing and marketing tips, resources, news and information across the web – without the fluffs.